We are well into November. 2009 is fading and thoughts of what might be in 2010 are spinning up. Soon we’ll be peppered with magazines and entertainment shows doing their best of 2009 lists. I hope we have all collected new experiences this year. Found this opinion piece interesting and wanted to make note of it. Written by Jay Goltz, who runs five small businesses in Chicago. Steve Jobs: CEO of the Decade? 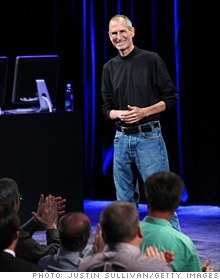 Fortune Magazine has dubbed Steve Jobs the CEO of the Decade. I found these Soviet War Paintings fascinating. We don’t hear as much about the Russian front, aside from Stalingrad.